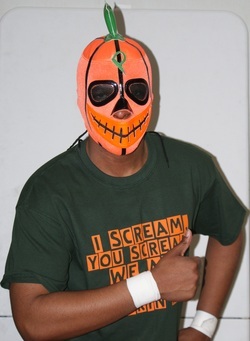 Not much is known about the mysterious Pumpkin King except his in ring skills are exceptional. Like most stars, the Pumpkin King is trying to stay out of the sights of the Dark Horsemen but this high-flying Keystone star can win any match, at anytime. The Pumpkin King is also very over with the Keystone fans and his popularity is rising.